The most original gift for Christmas! 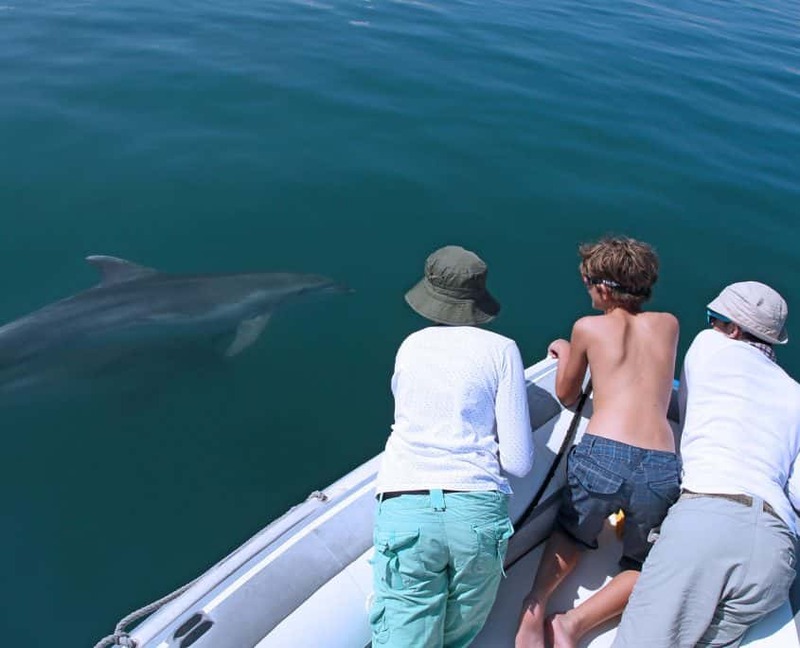 Give the most sensational present for a nature-loving person, who will be able to choose between a place on board our research boat “Pelagos” enjoying the whales and dolphins of the Ligurian Sea, or joining us in the cosy village of Vonitsa and experience dolphins in the gorgeous Ionian Greece. Make a down payment and we will send you a voucher personalized with the recipient’s and the purchaser’s names. The lucky person receiving the gift only needs to decide when and where (upon availability). 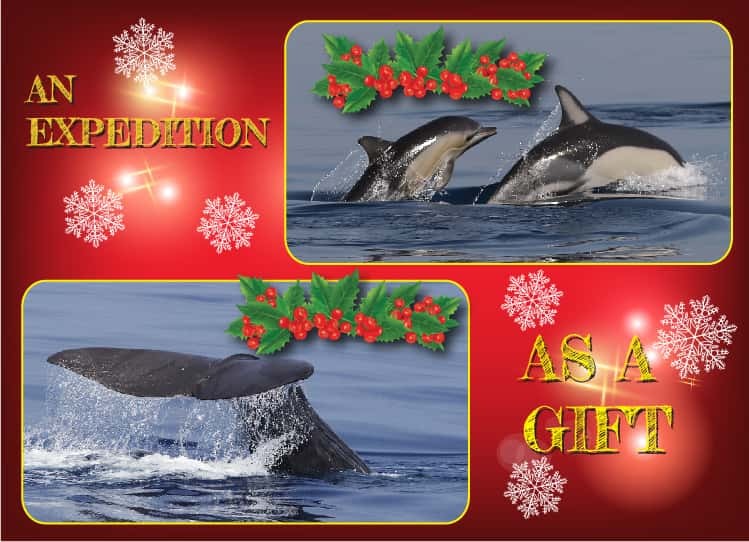 Give the most sensational Christmas present for a nature-loving person, who will be able to choose between a place on board our research boat “Pelagos” enjoying the whales and dolphins of the Ligurian Sea, or joining us in the cosy village of Vonitsa and experience dolphins in the gorgeous Ionian Greece. The voucher costs 450 Euro, and constitutes a down payment for the expedition. The due balance will then be paid before the expedition starts (see policy below). It will be a truly unforgettable gift! Do you want to make a booking for yourself instead? 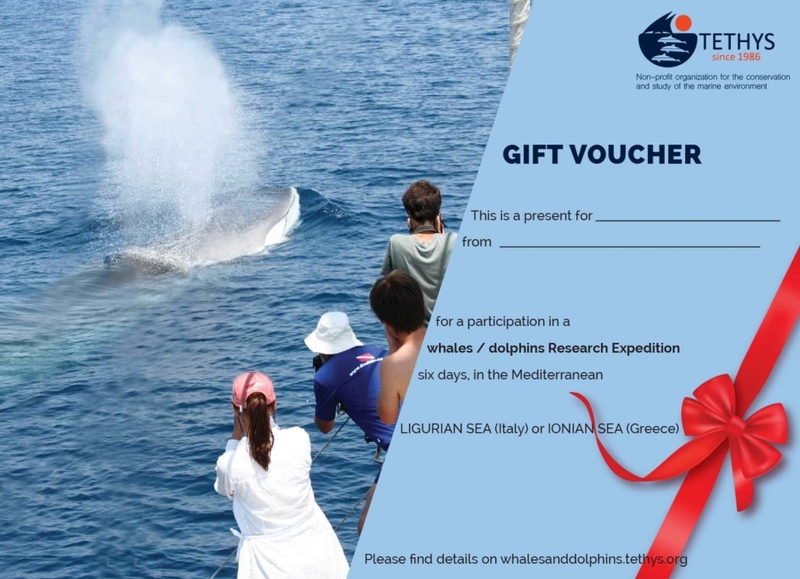 The voucher corresponds to an advance payment of 450€ for participation in the Cetacean Sanctuary Research (CSR) in the Ligurian Sea, Italy, or in the Ionian Dolphin Project ( IDP) in western Greece. 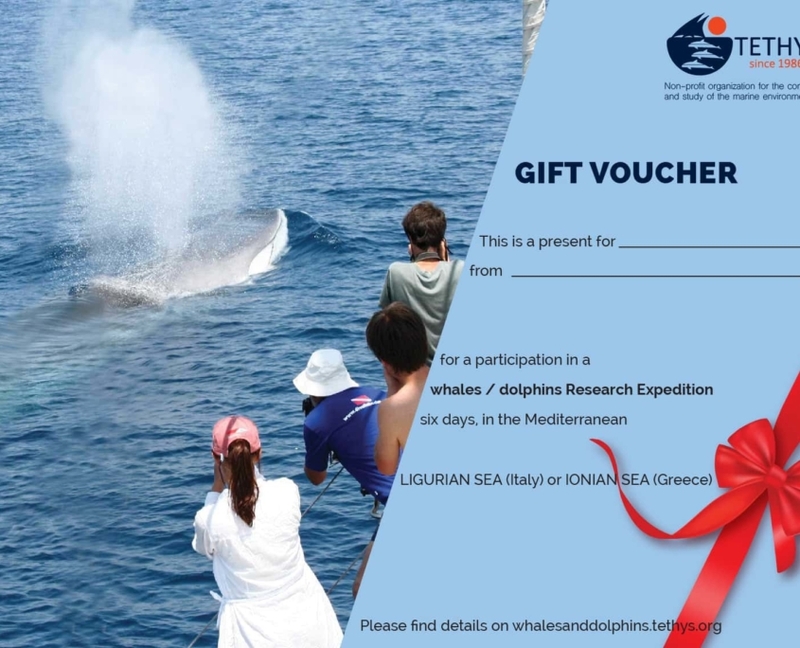 The recipient of the voucher must book his/her participation in one of the two projects by contacting Tethys’ office; by then you will have to follow the instructions that regulate normal bookings (see booking form). The balance of the fee must be paid 30 days before departure date. If necessary, it is possible to change the beneficiary of the voucher by agreeing with Tethys before the reservation takes place. If for some unforeseen reason the voucher was not used during the present season, it will be equally valid for the following year. Its validity will expire by December 31, of the second year; in that case, the amount paid for the voucher will be returned, with a deduction of 40€ to cover administrative costs.